Employee engagement is the holy grail of the modern workplace. Despite insights into the problem of a disengaged workforce, however, statistics on engagement have hardly changed in more than a decade. (On average, two out of three employees remain disengaged.) New evidence, however, supports the growing conclusion that career pathing may be the answer to improving those numbers. Career pathing is the process through which an employee charts a course for career development inside a particular organization. It focuses on identifying vertical and lateral opportunities for advancement or progression for each employee, and on understanding the skills, experiences, and personal and professional competencies necessary for success in each new role. When designed and implemented effectively, career pathing dramatically improves employee engagement, thereby offering extensive benefits to both individual employees and organizations as a whole. Unlike workers from the past, today’s workers desire far more than a paycheck and benefits. They want personal and professional fulfillment. They want to learn and grow in a position that enables them to truly utilize their strengths. More, according to Gallup’s most recent State of the American Workplace report, if they feel they can’t do this within their current companies, they feel little hesitation to leave them. In fact, two of the most common reasons for employees to leave a job are a lack of career growth opportunities and a feeling their current job is a poor fit for them personally. Career pathing addresses both concerns. An effective career pathing program offers clear insights into skill gap shortages and provides resources to address those gaps. It also provides detailed information into various paths for advancement. Together, this ensures opportunities for growth, learning, and fulfillment are available – and readily accessible – to each employee in an organization, from entry-level to upper management. In 2017, when 51% of employees are searching for new jobs and/or watching for new openings, this keeps your high potential employees where you want them – with you. 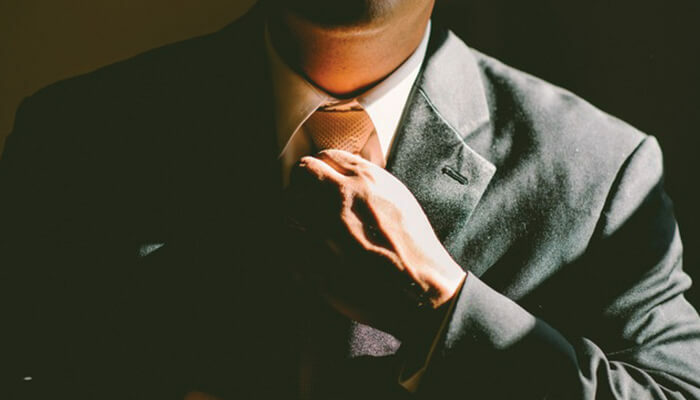 Successful companies identify and coach high potential employees across various roles and departments to take over key positions. They don’t focus only on those employees in direct line for promotion. 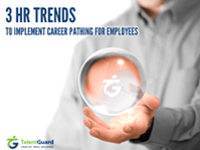 Career pathing helps companies identify both the employees best suited for key positions and the skills and training those employees need in order to excel. 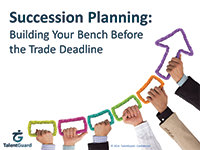 This enables organizations to move high potential employees into key positions effectively, with as little downtime as possible, which helps cement organizational longevity. Lost productivity from disengaged employees costs U.S. employers between $483 billion and $605 billion each year. Career pathing boosts employee engagement, helping bring an individual organization’s engagement numbers far above the 33% average. (In some instances, as high as 70%, according to Gallup.) With engagement, productivity rises, and profitability soon follows, due to fewer turnover costs, fewer missed days, more positive interactions with customers, and less employee theft. In fact, recent research shows that employees within the top quartile of engagement are 17% more productive and sell 20% more than employees in the bottom quartile. They also are 21% more profitable and miss 41% fewer days of work. Taken together, the evidence is clear: An effective career pathing program empowers employees by giving them the insight, motivation, and guidance they need to set goals and propel themselves toward success. Engagement rises. In turn, empowered and engaged employees bolster company profitability and ensure long-term financial success. Building an effective career pathing program, then, should be a top priority. For information on how to best create one, visit our career pathing software page or browse our learning center for webinars and other content. Ready to get started? Request a demo today! 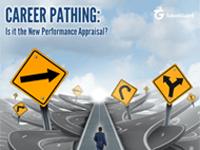 Career Pathing: Is it the New Performance Appraisal?